During a short sea trip from the Amsterdam container terminal Ceres to Rotterdam’s container terminal Uniport, a container crane toppled off a barge at IJmuiden, The Netherlands. 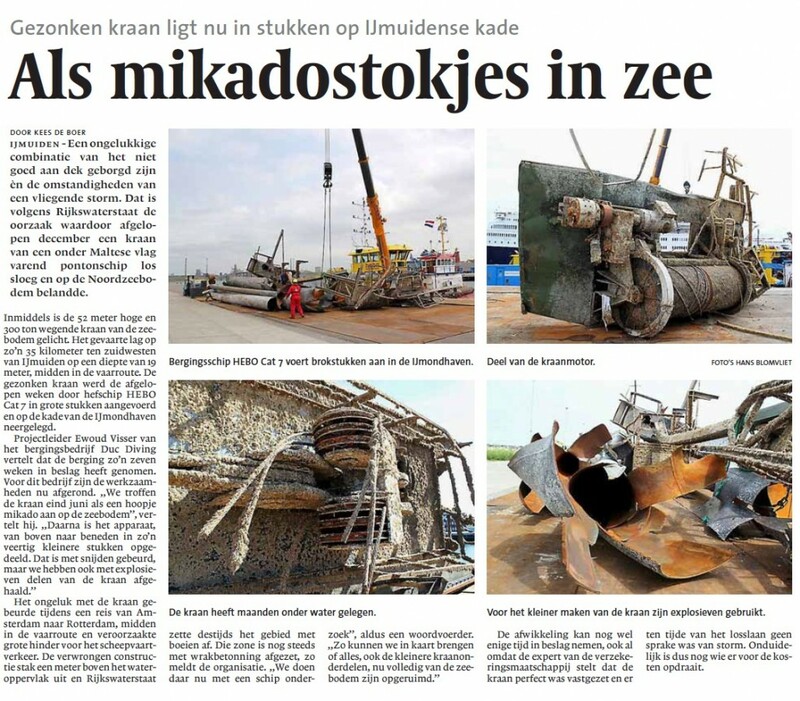 The two remaining cranes on the barge safely arrived in Rotterdam. 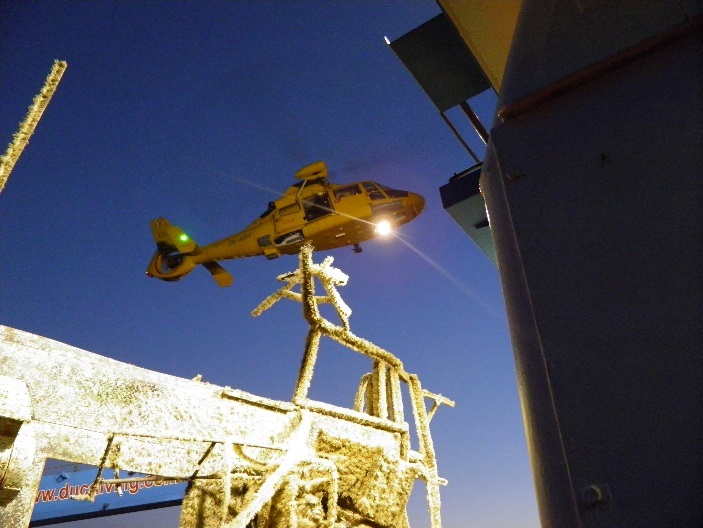 DUC Marine Group, in a Joint Venture, was awarded the salvage of this crane. 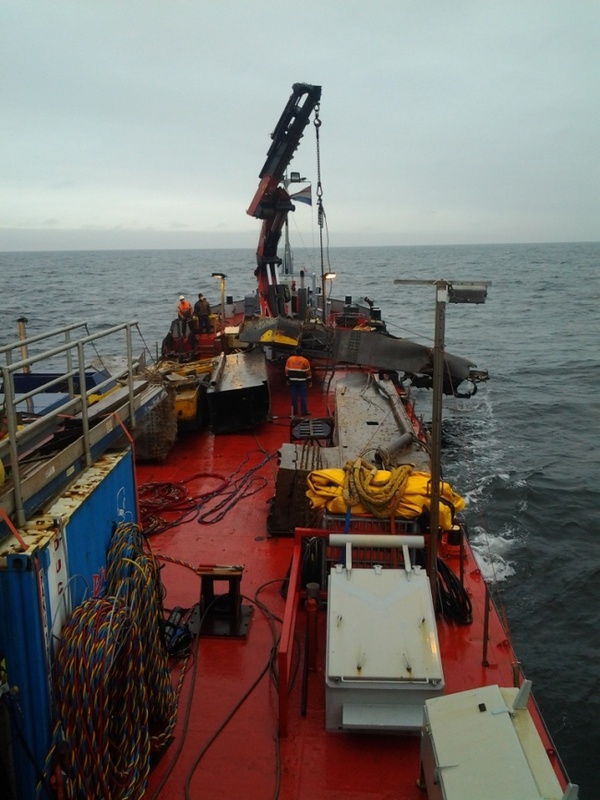 The contract was the removal of the crane at 19 m depth in the busy North Sea. Originally the crane was 55 m high and 33 m wide. 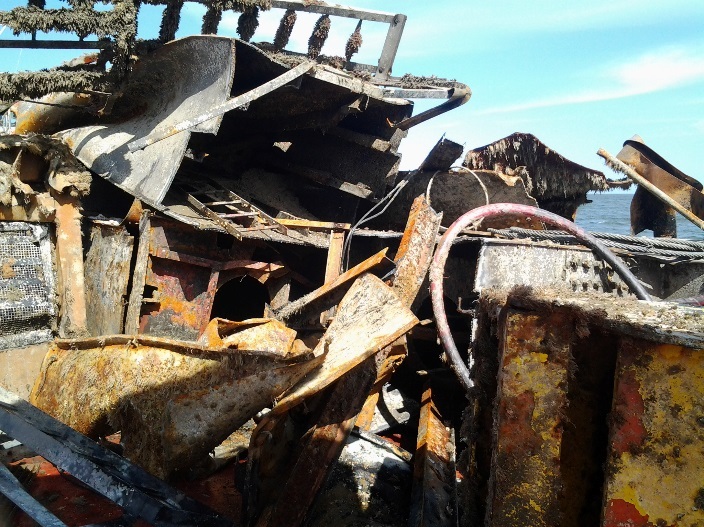 After the first diver inspections, from the JV-partner’s vessel, it became clear that the structure was completely tangled up in a big steel ‘spaghetti’. 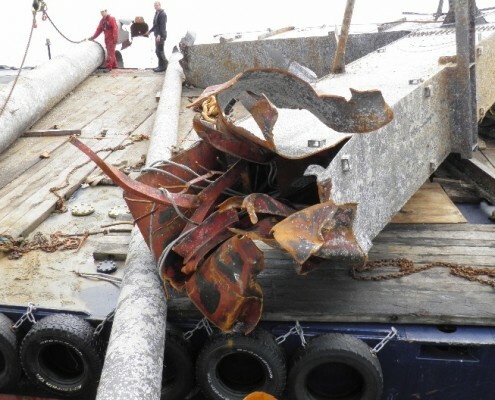 Instead of using big floating cranes or sheer legs, DUC Marine Group decided to use explosives to take the container crane down into 40 pieces of approx. 10 ton’s each. 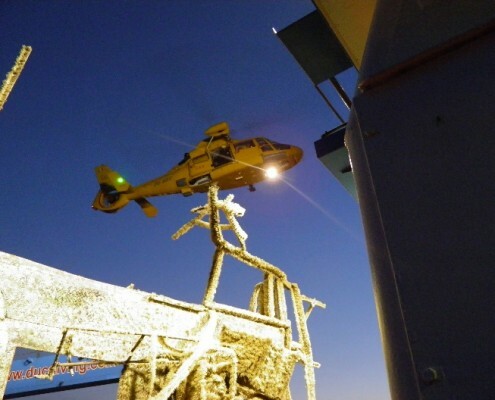 These elements were lifted onboard with the ship’s crane. 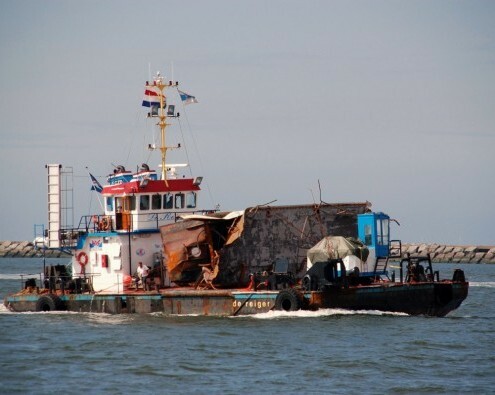 The two vessels were fully loaded with scrap metal, and the vessels proceeded to the Harbour of IJmuiden for unloading. 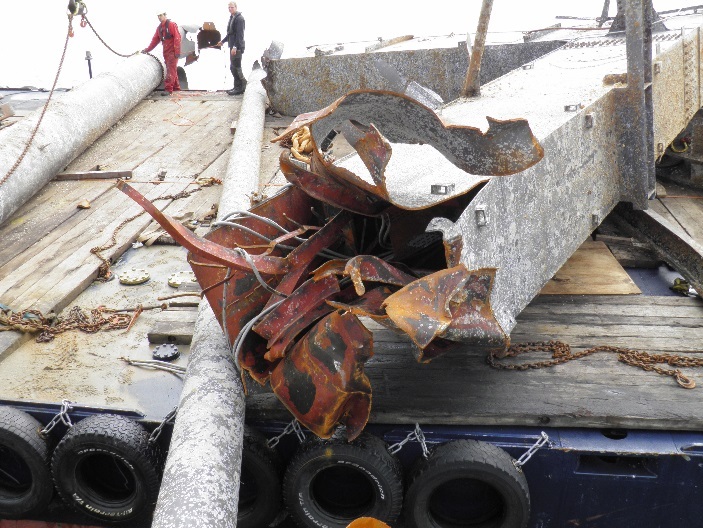 The remains of the crane were transported to IJmuiden at stored at the quay for inspection by the insurers. 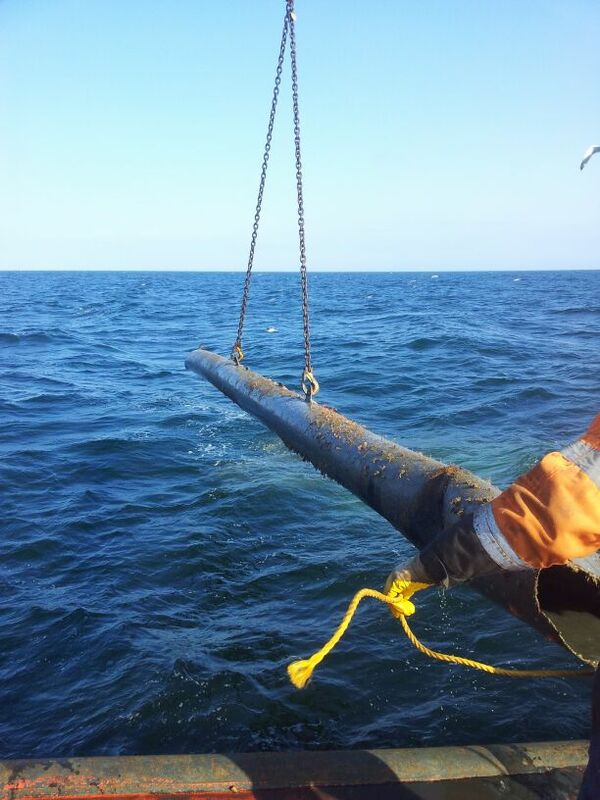 As the crane had sunk in an environmental protected area, a so called ‘Natura 2000’ area, DUC was required to write an ecological plan for protection of the sea life and vegetation. 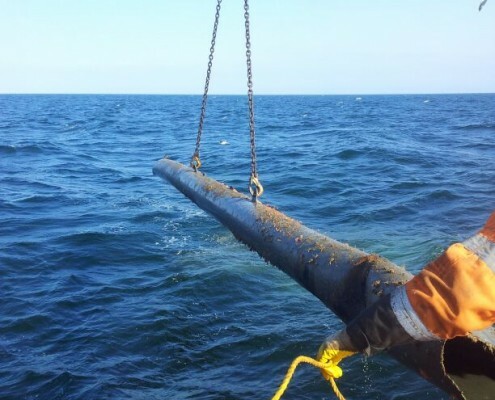 This plan was tailor made, mitigating the noise and schock-wave / vibration effects of the explosives in order to ensure marine life would not be affected. 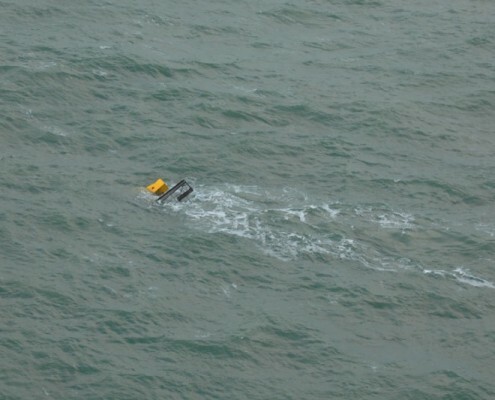 After completing the first phase of the salvage successfully, the Dutch Authorities required that the remains of the crane would be removed completely to minimal 2 m under the sea bottom in a radius of 100 m of the centre. 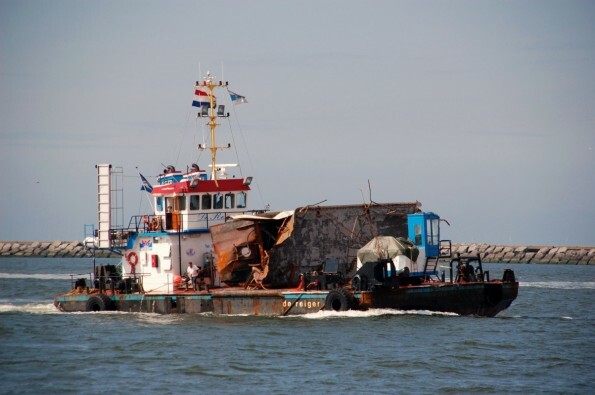 DUC Marine Group tendered again and won the second phase of this salvage job. 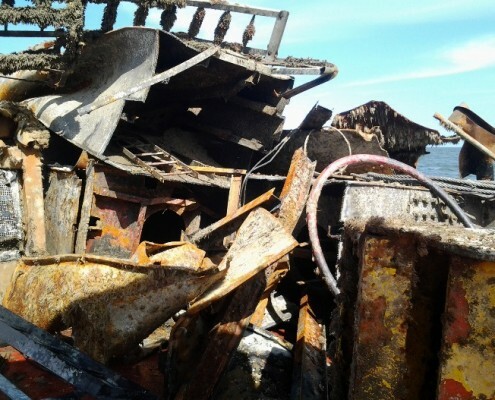 The last remains were removed, the seabottom was searched and all loose debris was picked and brought to surface. 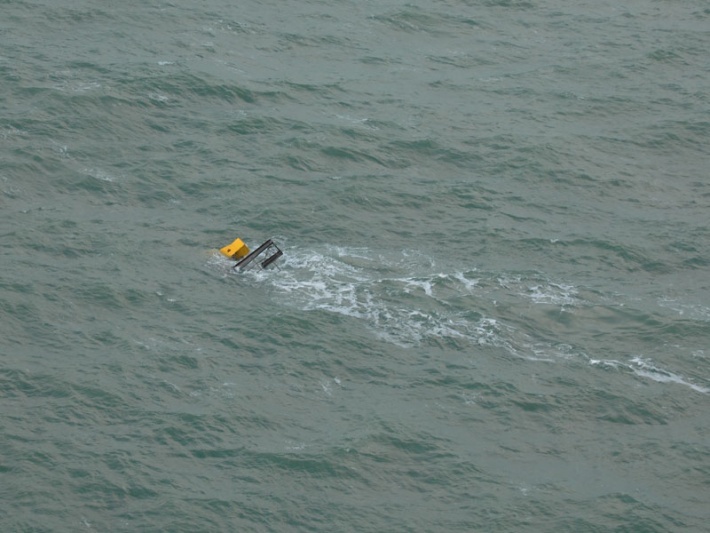 Last step was to search the area with an underwater magnetometer to search for metal debris in the sand. These items were exposed with an airlift and recovered. 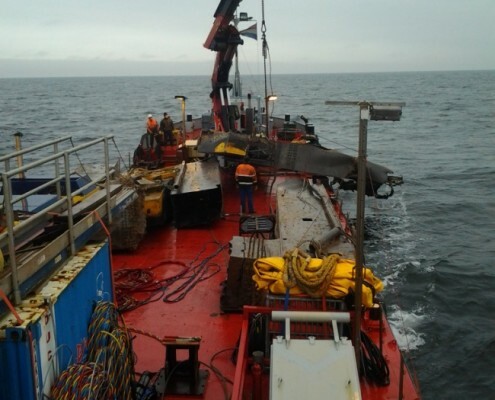 The works have been carried out by the own vessels m/v REIGER and m/v RAM.